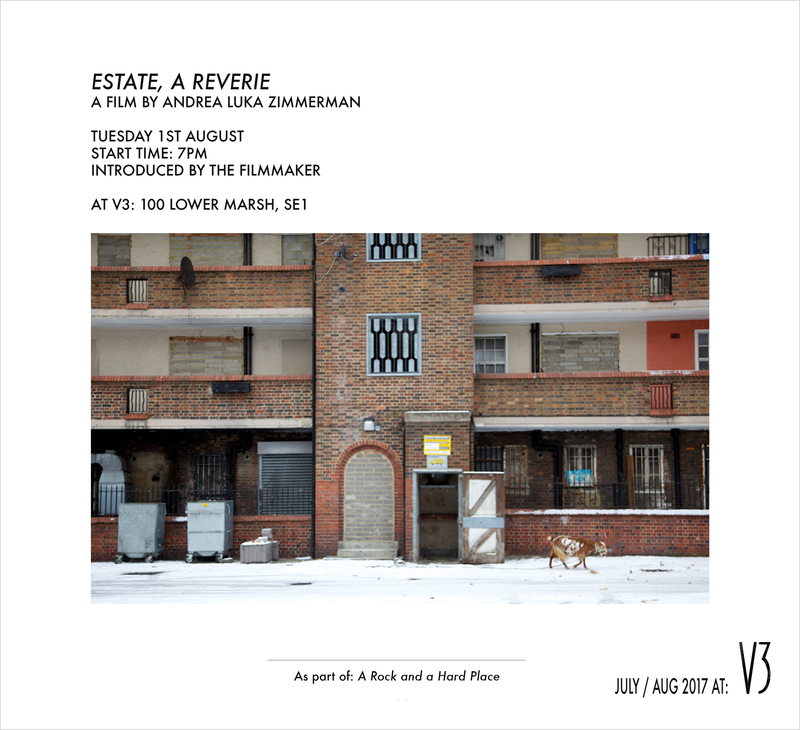 Estate, a Reverie - A film by Andrea Luka Zimmerman. With an introduction from the filmmaker. Estate is a deeply moving portrait of a community struggling to survive in a boarded-up London public housing project, long slated for demolition. Multilayered and profound, Andrea Zimmerman’s film masterfully immerses us in a dreamlike lost-world of misfits, outcasts and survivors whom she films with love and aching tenderness. This film is being shown in conjunction with A Rock and a Hard Place - an exhibition exploring the cost of property development and the privatisation of land on display at V3 until the 5th August.